This is a good project for children or even yourself if you want to decorate your house for Halloween! I used the Fancy Favor Bigz XL die to cut the box in Pumpkin Pie card stock. 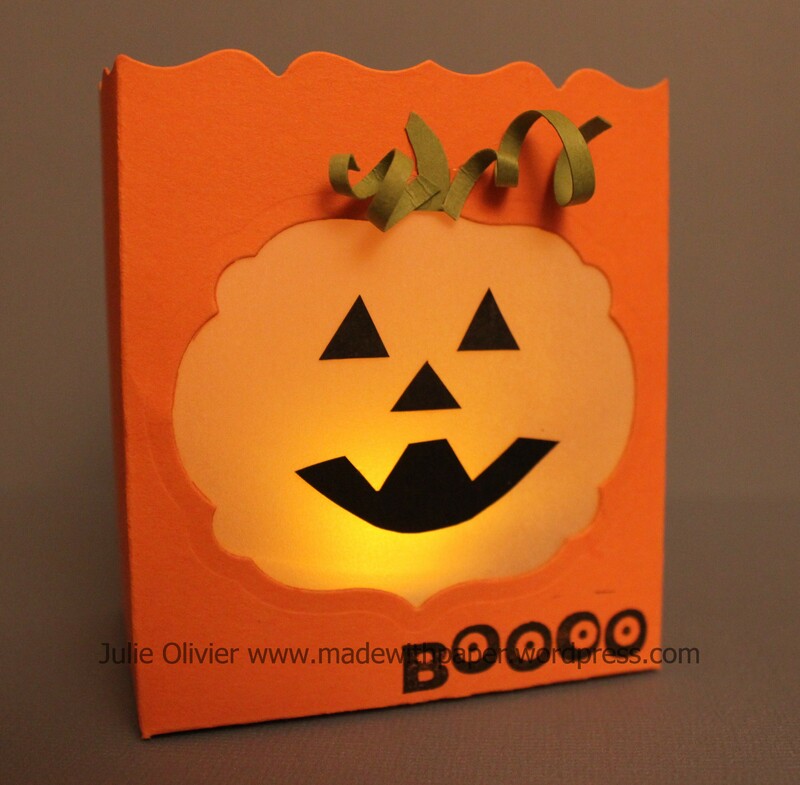 Cut out a pumpkin face, put a piece of Vellum cardstock, decorate, add a battery-operated tealight candle and here you go!!! 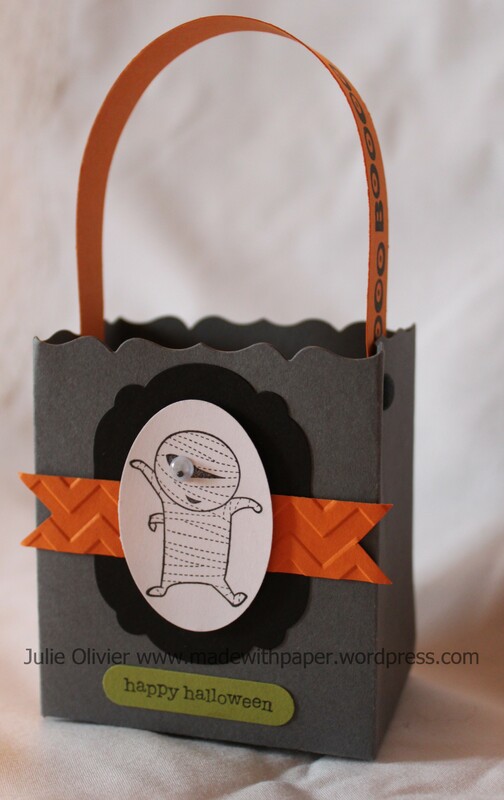 Using the Big Shot and the Fancy Favor Bigz XL die, cut the box in Pumpkin Pie card stock. On the front face, cut out the pumpkin using the Label Collection framelits. Glue a piece of Vellum card stock from the back. In Basic Black card stock, cut out small triangles for the eyes and nose. Cut a mouth for your pumpkin. Glue in place. 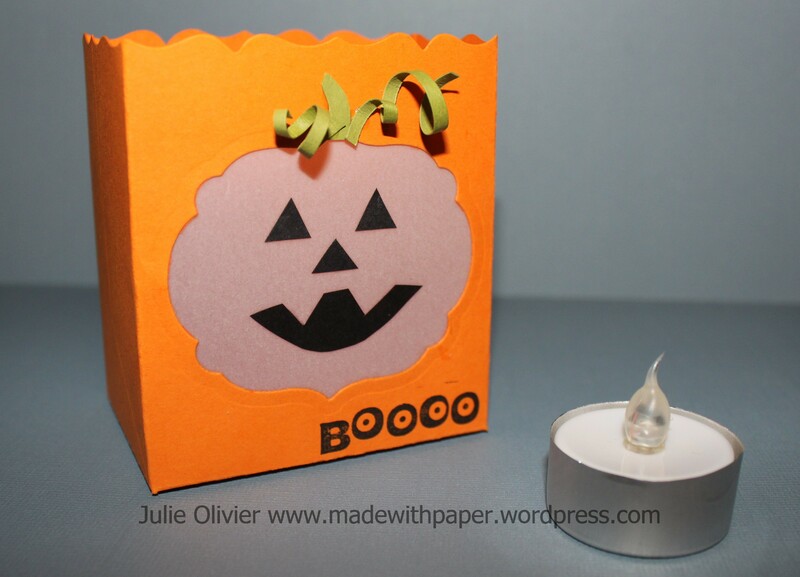 Add a stem for your pumpkin in Old Olive card stock. Roll a small strip of cardstock and glue in place. 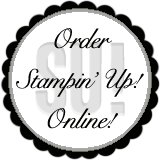 Stamp “BOOO” in Basic Black on the front. 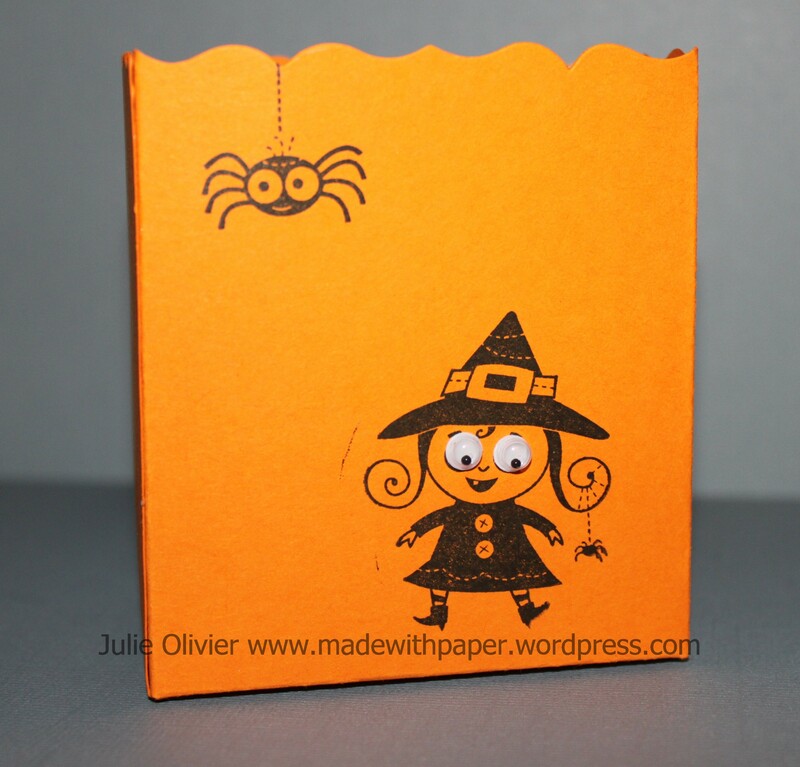 Stamp the witch and spider at the back of the box. Add googly eyes. Assemble your box with sticky strips. Put a battery tealight inside your pumpkin. Happy September everyone! Hope you all had a great long week-end! Have you started thinking about Halloween yet? This month’s bundle, priced at 15% off, is the Ghoulish Googlies Bundle which includes the Ghoulish Googlies Designer Kit and the Googly Ghouls stamp set! I made a really cute “treat bag” with the Googly Ghouls stamp set and the Fancy Favor Bigz XL die. For the front, I stamped the mummy on an Whisper White Extra-Large Oval and added the googly eye. I cut a strip of Pumpkin Pie card stock that I embossed with the Chevron folder. I cut both ends to form a “flag”. 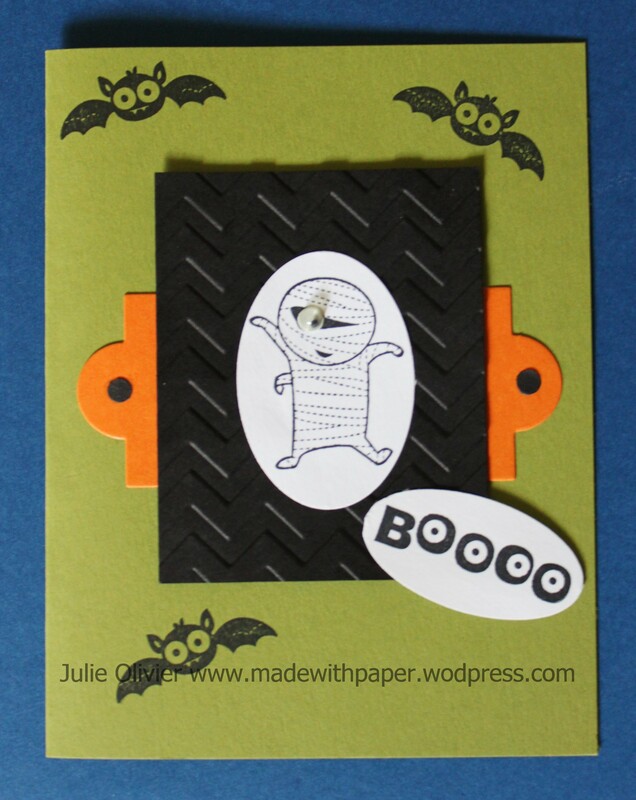 I added a “Label” framelit in Basic Black card stock and a small “Happy Halloween” from the Teeny Tiny Wishes stamp set. The back of the box was stamped with the Googly Ghouls stamp set. 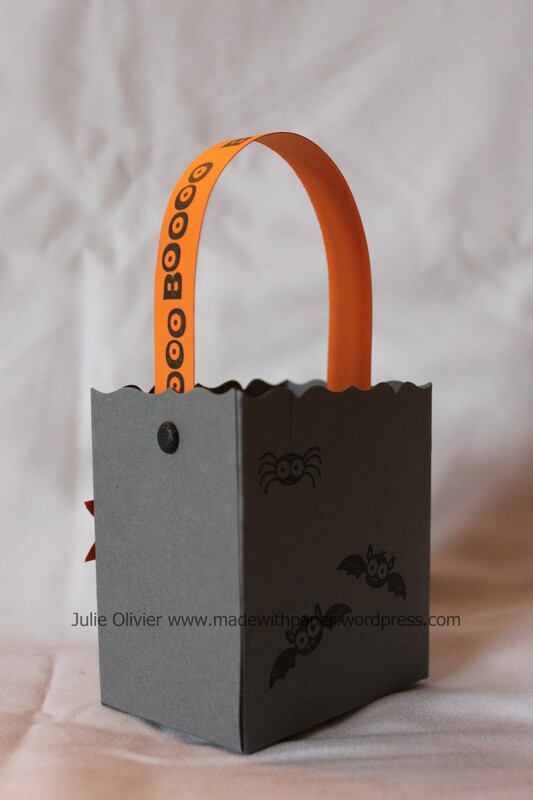 The handle is a long strip on Pumpkin Pie card stock stamped all the way with “Boooo” and is attached to the box with 2 Basic Black Glimmer brads. A little tip when making the box: start with the stamping on both sides and then assemble the box using sticky strip. Tools and punches: Word Window punch, Extra-Large Oval punch, Big Shot, Labels Collection Framelits, Chevron embossing folder, Fancy Favor Bigz XL die.